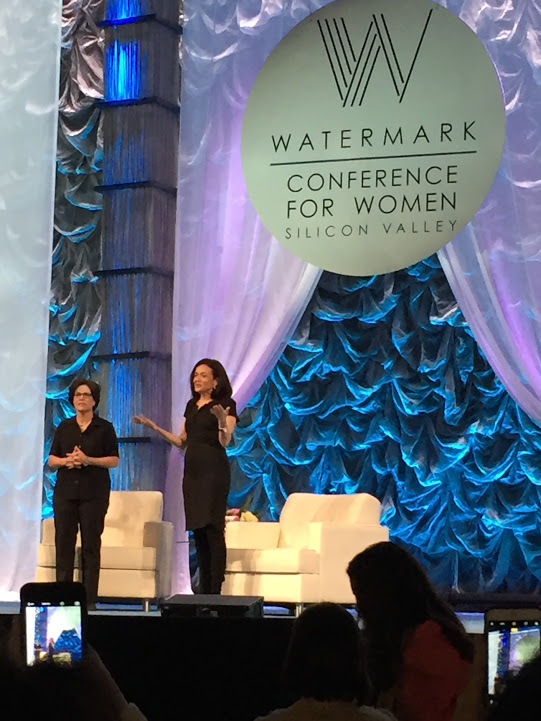 I attended the sold-out Watermark Conference for Women #WatermarkConf yesterday as a media correspondent and feel completely inspired along with 6,500 attendees. I don’t go to conferences often, but when I do, I always get something out of it. Especially given the political climate, I encourage you to seek out meetups, events, conferences or any means to connect with others. But if you are unable and constrained by time or money (which I completely understand), I’m here to tell you that you can have the same experience I did, right here and now. 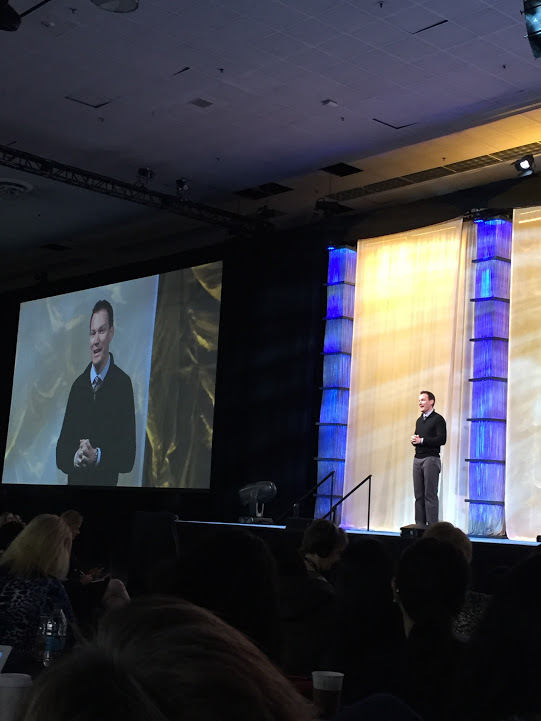 The opening keynote session kicked off with happiness expert Chris Achor who was totally hilarious and engaging. He had us work in pairs: One person had to smile and the other person had to be stone-cold neutral (obviously failing!). I could not stop giggling. This exercise illustrated how we are all wirelessly connected and can work together to co-create. Listen to his popular Ted talk ‘The Happy Secret to Better Work’ here. More from Chris Achor with Oprah here. I was less impressed with Sheryl Sandberg, probably because I have such high expectations of her. Kara Swisher, who I love and is probably the best interviewer of our time, grilled Sheryl on standing up to Trump and taking action. Sheryl’s stance was that we have to see what happens, work together with the president, and that she remains hopeful. She reiterated her feminist message, noting that when she wrote Lean In, there were women running 22 countries and now there are only 11. Women need to be in operational roles, not support roles. Her book ‘Option B’ on resiliency after the sudden death of her husband is coming out soon. I much preferred Sheryl’s UC Berkeley commencement address that she gave last year. Condoleezza Rice…WOW…seriously crushing on Condi. I’m here to say that I did a complete reversal and so admired what she had to say. 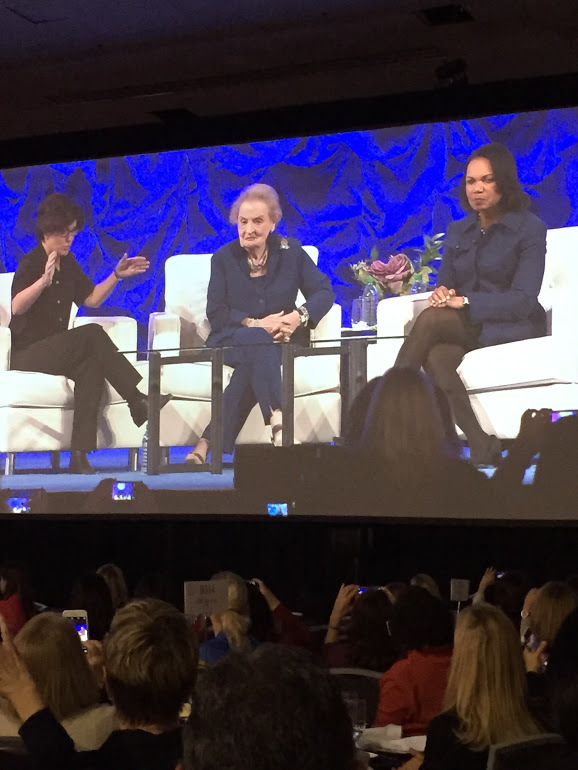 Her keynote luncheon along with Madeleine Albright and moderated by Kara Swisher were the highlight of my conference experience. While Madeleine was more vocal about her opposition to Trump, Condi was more neutral. She said we have to give the administration a chance to work and that she is an advocate of a couple of Trump’s appointees. She also described government as a complex web, with checks and balances, and power within federal departments and agencies, state and local government. Finally, I didn’t take any notes with Viola Davis, I was so enraptured by her speech. But she pleaded with us to own our stories as she recounted her heart-breaking childhood of poverty and abuse. You can have a mini-conference experience anytime, anywhere by listening to a Ted talk or researching thought leaders in areas that you are passionate about. Here’s the full list of speakers from the conference if you want to take a look at their bios, and then google them to find more. I feel like I can accomplish anything! What are your goals for this year and what actions have you taken? Here are mine. Wow, to all you shared here and you shocked me about Condi Rice, because as you thought would have been my initial thought of her, as well from what I thought I knew of her under George W. Bush’s tenure. Very interesting though and definitely gave me some food for thought if nothing else. WOW, what a lineup! I adore Madeleine Albright and I agree with her 100% when she says that the #MuslimBan is a gift to ISIS. Americans are absolutely less safe today than we were before this administration was sworn in. My husband saw Condi speak at a work event a few years ago and was also quite impressed. I’d be more impressed if she took a little stronger stand against these dangerous foreign policy decisions. given that condi is aligned with the GOP, i was surprised that she’s taken the stance that she has. after the conference, she signed a letter along with others saying she was absolutely against the ban. something interesting that i read about her history is that when her dad applied to vote, he wanted to register as a democrat and the party would not allow him. he said the reason he registered republican is because they allowed him to. how ironic, right?! Amazing! What an inspirational day of keynote speakers–thank you so much for sharing some of your highlights. 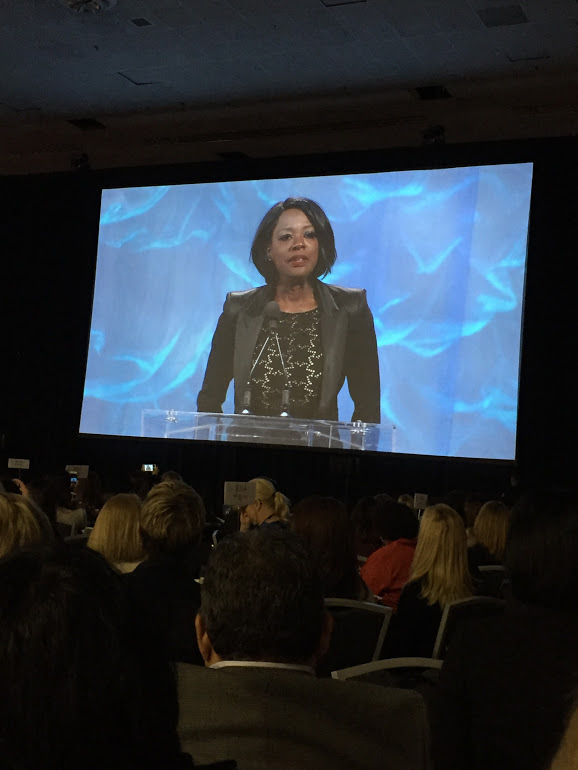 I love Viola Davis and it sounds as though Condoleezza gave a remarkable speech as well. Hope all is well with you, love!